The Kitchen is open from 12:00 until 21:00. The Bar is open from 12:00 until 22:30. 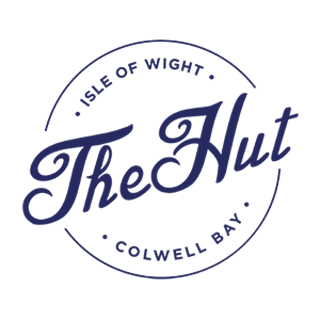 The Hut is an easy-going beach restaurant that combines an unrivalled passion for simple yet delicious food, with a desire to create a relaxed but stylish environment for all to enjoy. I'm a huge fan of the Hut. I've been many times and will continue (hopefully) to return many more times. In fact have already booked 3 more visits this summer. The service was excellent but the food yesterday was poor. The prices are very expensive and if you get what you pay for you don't mind paying them. However sadly the Fruits de Mer was very disappointing. It felt like it was 'Easter leftovers'. The Surf and Turf beef was a little tough and grissly. Always a great time when I visit The Hut. My Wife's first time yesterday and she loved it. We had a lovely time at The Hut. The staff are all welcoming and professional. The service was good and the food was locally sourced fresh and tasty. The atmosphere is lively. We thoroughly enjoyed our lunch and look forward to returning. We celebrated our wedding anniversary at The Hut over the Easter Bank Holiday and as always we were not disappointed. Delicious food, excellent service and fantastic location! Can't praise this place enough. We went for our 41st wedding anniversary. The service was excellent and the guy that waited at the table was very attentive without being overbearing. My husband had the bream, and said it was the best he'd had and I had the fish broth which was amazing. I've had this elsewhere and there was no comparison! There was a good amount of chunky fish , muscles, clams and small shrimp, delicious. We'll be going back, definitely. Fantastic staff, and contributed to a brilliant time at the hut! A perfect way to spend a gorgeous sunny Easter evening. Beautiful views, great food, delicious cocktails and wine. Always an amazing afternoon. We had a few children with us this time and the food came out after quite a lot of tables that sat down after us had already got theirs but we were a big table - more communication if that happens again would be great just to manage child entertainment. Some sauce on the tuna poke (wasabi/soy/ginger) would make it much yummier. The fish was incredible and v fresh. Thanks for a great afternoon! Fantastic food and atmosphere. 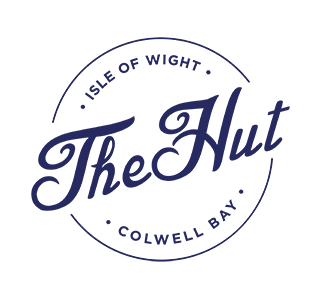 Great service, friendly and knowledgeable. We loved it!! Amazing food! A little bit overpriced but in general very tasty food! We went to the hut to eat twice this weekend, always crazy busy but service impeccable. so welcoming from everyone.Food fantastic, best most succulent lobster. the thing we hate most about busy restaurants is when they spend so much time telling you how busy they are. Not here, clearly busy but very calm and under control. Cant wait until next time! Another fantastic lunch at the Hut - we all thoroughly enjoyed it and looking forward to coming back again soon. Fantastic experience, which just gets better and better each year. Well done guys, thanks a million for looking after us so well and we'll be back again very soon! Our first visit and it was fab! We’ll be back!! Very cool place, great location helped by the perfect setting and glorious weather. Food was delicious if a touch expensive but would recommend for a special occasion or fun place to go for a treat. Very special place, great service ferrying from our motor boat ashore, fantastic Rosé and lobster, cracking atmosphere and view - we love this place and can’t get enough! Nearly all 5's, You guys were clearly very busy for a Wednesday so there was a delay in bringing the food out to us (Hence the 4). Your waitress (We didn't get her name, it was the young blonde lady), however, was lovely and explained the situation and we were handed a complimentary glass of house wine. It's on the slightly expensive side of dinning but we really enjoyed it. Excellent in all respects- thoroughly recommended.